Your gutter act as your first line of defense against water damage to your home. 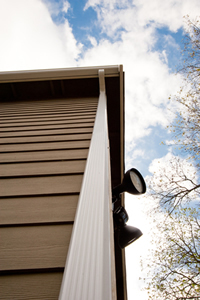 Gutters direct rain and melting snow runoff away from the foundation of your home. Many people don’t realize how rain can ruin the foundation of their home. Rain can also cause a build up a mildew or mold on just about any exterior surface. It does not matter if your home is brick or vinyl siding; rain can cause damage or unsightly stains. Gutters channel thousands of gallons away from your foundation keeping your crawl space and basement dry. The gutters will also help protect against damage and stains. Rain gutters are made to help prevent water from leaking under your home’s foundation. They drain the water away from the home to prevent a build up of unwanted water. A gutter system also helps keep water from running down the side of your home where most of the damage can be done. When water rests on the side of the home, it can get stuck under the siding and cause the damage. Gutters need to be cleaned out any time the flow of water through them is blocked. You can see this visibly during a rain storm when water is poring over the edge of the gutters instead of being directed away from the home. In most cases, gutters get blocked in the spring and fall from falling tree debris. You may also find they are blocked after a severe wind storm as well. Here’s a quick video on the steps to cleaning your gutter put together by Lowes. Remember if you are not comfortable doing any of these steps please stop and consider professionally installed gutter covers. 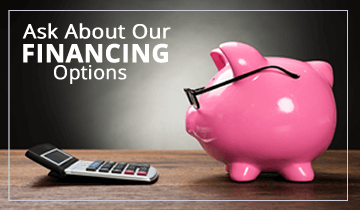 Why Invest in Gutter Covers? Cleaning your gutters is a dirty and often not very safe maintenance job required to keep your home at its best – not to mention a hassle. If you no longer wish to clean your gutters or find the safety risks too large, consider having Lyons Roofing Company professional install gutter covers on your current gutters. Between the time savings and the reduced risk, installing gutter covers is well worth the investment. Your house needs gutter guards. It’s like bread and butter for your gutters and downspouts. It’s a perfect add-on for your roof drainage system. Gutter guards prevent clogging and frequent cleanups which translates to lesser repairs and issues.. Aesthetically speaking, the house looks better with gutter guards. Who would like to see their house with debris sticking out on the gutters? It’s a ghastly sight. Not only does it serve its purpose of keeping debris out, gutter guards also “beautify” the home and gives uniformity.